Well, we didn’t make it up to the clouds by sunrise, as it was POURING outside. We wound up having breakfast in the hotel, meeting up with the rest of the group, checking out of the hotel, and then heading back up to MP on our own. When we were headed down, I was nearly run over by a Japanese group, Chinese group and German group. I wound up resorting to the old basketball technique in order to make it through - elbows out and sharpened! We had lunch, and then went into the sanctuary lodge bar, where we met up with Leo and Jennifer Laporte, both of whom seemed exhausted! We had a nice conversation as they ate their lunch and we had a pair of pisco sours. Who knew I would find a new favorite drink? Yummy! And then it was down the hill and to the market for a couple of tsotchskes (daily llama, anyone? ), pick up the luggage (really two plastic bags! ), surf the web for a bit, and then head back to Cusco. Machu Picchu ( "Old Peaks") is a pre-Columbian 15th-century Inca site located 7,970 ft above sea level. It is situated on a mountain ridge above the Urubamba Valley in Peru, which is 50 miles northwest of Cusco, and through which the Urubamba River flows. Most archaeologiests believe that Machu Picchu was built as an estate for the Inca emperor Pachacuti. Often referred to as "The Lost City of the Incas", it is perhaps the most familiar icon of the Inca World. Bingham wrote, “The sanctuary was lost for centuries because this ridge is in the most inaccessible corner of the most inaccessible section of the central Andes [trust me people, I climbed it, I agree!]. No part of the highlands of Peru is better defended by natural bulwarks - a stupendous canyon whose rock is granite, and whose precipices are frequently 1,000 feet sheer, presenting difficulties which daunt the most ambitious modern mountain climbers. Yet, here, in a remote part of the canyon, on this narrow ridge flanked by tremendous precipices, a highly civilized people, artistic, inventive, well organized, and capable of sustained endeavour, at some time in the distant past built themselves a sanctuary for the worship of the sun.” Sadly, though, the Incas couldn’t defend themselves from the smallpox the Spanish brought, so Machu Picchu survives while an inventive, intelligent race died out. The Incas started building the estate around AD 1400 but abandoned it as an official site for the Inca rulers a century later at the time of the Spanish Conquest. Although known locally, it was unknown to the outside world before being brought to international attention in 1911 by the American historian Hiram Bingham, who has Hawaiian ties, and was a Connecticut senator. On 24 July 1911, Hiram Bingham announced the find of Machu Picchu to scholars. An American historian employed as a lecturer at Yale University, Bingham had been searching for the city of Vilcabamba, the last Inca refuge during the Spanish conquest. He had worked for years in previous trips and explorations around the zone. Pablito Alvarez, a local 11 year-old Quechuas boy, led Bingham up to Machu Picchu, where some Quechuas were living in the original structures. An interesting sidelight on manners and customs is the abundance of expressions in Quichua for all stages of drunkenness. One of their principle activities was the manufacture of beer, known as chicha. 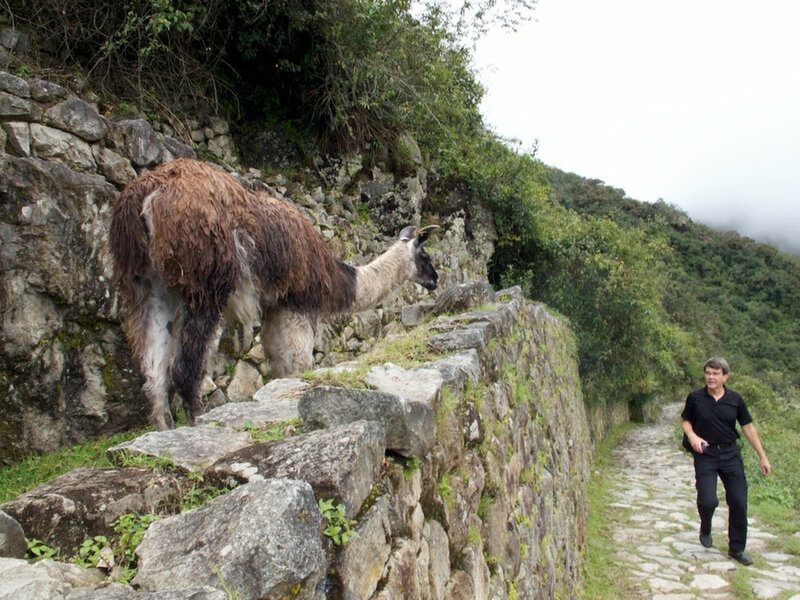 The ruins of Machu Picchu are divided into two main sections known as the Urban and Agricultural Sectors, divided by a wall. The Agricultural Sector is further subdivided into Upper and Lower sectors, while the Urban Sector is split into East and West sectors, separated by wide plazas. Built in the classical Inca style, with polished dry-stone walls, the three primary buildings are the Intihuatana, the Temple of the Sun, and the Room of the Three Windows. 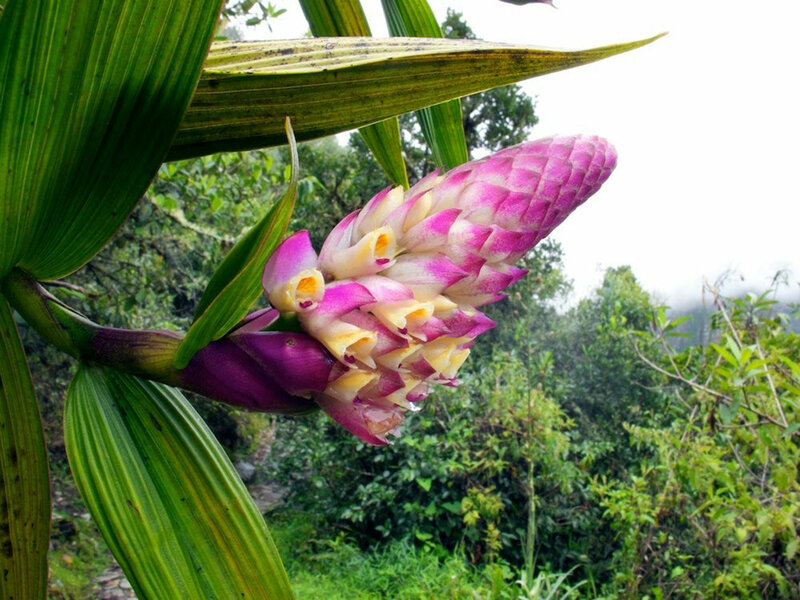 These are located in what is known by archaeologists as the Sacred District of Machu Picchu. The space is composed of 140 structures or features, including temples, sanctuaries, parks and residences that include houses with thatched roofs. There are more than one hundred flights of stone steps –often completely carved from a single block of granite –and numerous water fountains. These were interconnected by channels and water-drains perforated in the rock that were designed for the original irrigation system. Evidence suggests that the irrigation system was used to carry water from a holy spring to each of the houses in turn.